Due to renovations the Hyattsville Branch is now at its temporary location: 6502 America Blvd Hyattsville, MD 20782. No meeting rooms are available at temporary location. 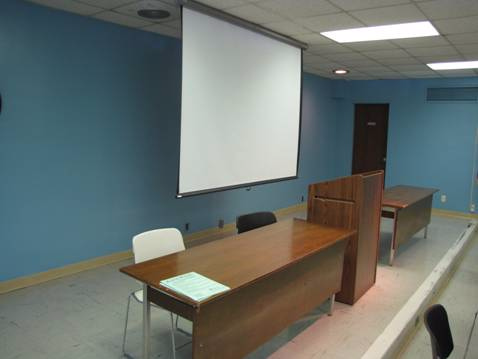 2 Large meeting rooms, capacity 70 each - Ceiling mounted projector available. Lecture Hall, capacity 120 - Microphone and speaker are available. Ask for help at the info desk. No food or drink of any kind is permited in the Lecture Hall at Oxon Hill. 5811 Old Silver Hill Rd.